As confirmed by The Hollywood Reporter, former production designer Robert Kinoshita died earlier this week. He was 100. Though not exactly a household name, Kinoshita’s creations probably are—especially to fans of classic sci-fi. He designed and built the iconic Robby The Robot suit for 1956’s Forbidden Planet and the similarly iconic Robot B-9 from the Lost In Space TV series in the ‘60s. Both robots—though they’re just costumes, of course, not actual robots—are easily recognized by their see-through heads and wide array of flashing-and-spinning accouterments, and they both came to define the ‘50s and ‘60s approach to sci-fi mechanical designs. 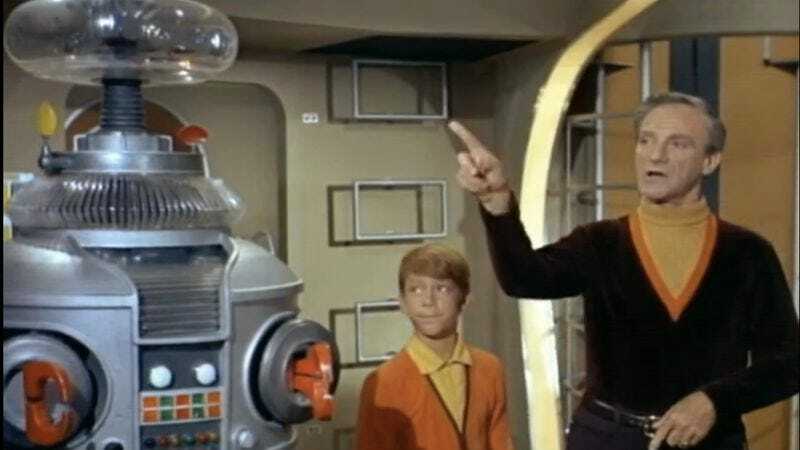 Robby in particular even became a bit of a celebrity in its own right, going on to appear in a bunch of other TV shows and movies, including The Twilight Zone, The Addams Family, Mork & Mindy, and Gremlins. Plus, both robots were parodied several times on The Simpsons, which is always an easy way to measure something’s cultural impact. Kinoshita was born in Los Angeles in 1914 and was interested in movies from a pretty young age. THR says his “first practical experience” was working on a film called 100 Men And A Girl in 1939. When World War II came around, though, Kinoshita and his wife were sent to a Japanese internment camp in Arizona, which unfortunately put his movie career—and the rest of his life—on hold. Luckily, he was able to leave before the war ended and moved to Wisconsin where he began learning how to make things out of plastic. When he returned to California in the ‘50s, he had managed to pick up all of the skills he would need to start designing famous robots.